John Francis Murphy was born in Oswego, New York in December, 1853, but established his professional studio in New York City. 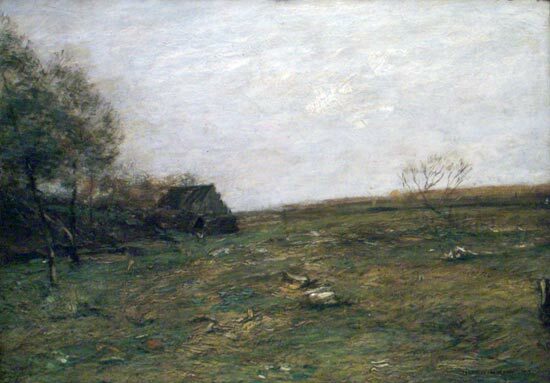 One of the major practitioners of the Tonalist style pioneered by George Inness, Murphy was largely self-taught. He soon achieved considerable prominence in the art world, however. From 1876, he exhibited regularly at the National Academy, winning a Gold Medal at the Academy exhibition in 1910. He was admitted as an Associate in the Academy in 1885 and was inducted as a full Academician in 1887. Murphy was also a member of the Society of American Artists, the Rochester (NY) and Brooklyn Art Clubs, and the American Watercolor Society. In 1887, he established residence in Arkville, New York, a small Catskill town frequented by Worthington Whittredge and Jervis McEntee. Murphy and his wife, painter Ada Clifford Murphy, began giving instruction in Arkville, where they were joined in 1889 by Alexander Wyant and, later, by Edward Loyal Field. 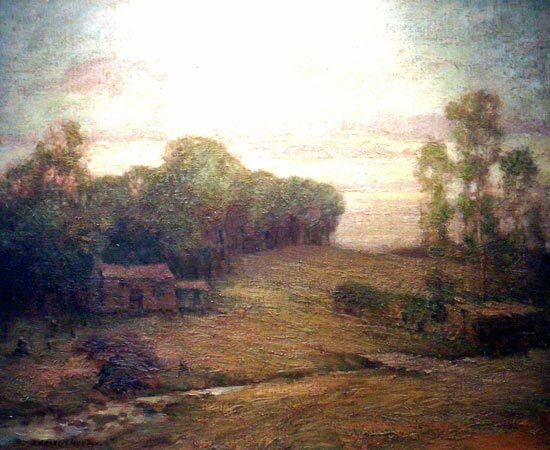 The small community thus became one of the most important enclaves of Tonalist painters in America toward the end of the century. J. Francis Murphy died in 1921 in New York City. Murphy’s work is in the permanent collections of the Metropolitan Museum, the Corcoran Gallery, the Detroit Institute of Arts, the Chicago Art Institute, the Smithsonian American Art Museum, the Hudson River Museum, the Westmorland Museum of American Art, and many others.